Zee Zee Interior specializes in Contemporary and Classic style furniture made from recycled teak. Zee Zee is also the authorized supplier for Old Java factory based in Indonesia. 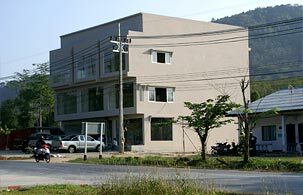 Our large showroom in Cherngtalay, Phuket stocks furniture which rustic and functional. Zee Zee’s styles are simple and handcrafted using natural materials like leather, banana fiber, shellac and recycled teak. Our well stocked show room gives a rich, warm feeling and is filled with many unique, antique looking samples. Zee Zee interior also offers a wide range of interior lighting, soft furnishings in both silk and cotton, ceramic pots and vases and a variety of other home decor items that are unusual and hard to find in Asia. Old Java furniture is produced using computerized kilns and laminating presses for items such as table tops, doors for cabinets, beds boards and coffee tables. This process is undertaken to avoid cracks as well as to facilitate mass production in their factory. Recycled teak is used to accent many classic and contemporary pieces in the range. The new Grey Collection by Old Java follows a Contemporary style which is quite unique and original. Zee Zee Interior offers delivery services to all parts of South Thailand and takes pride with deliveries to Phang-nga, Krabi and the Surathani / Koh Samui area monthly. Zee Zee Interior Export Department offers very competitive F.O.B (Bangkok) prices for full container loads of furniture to all major ports of the world.